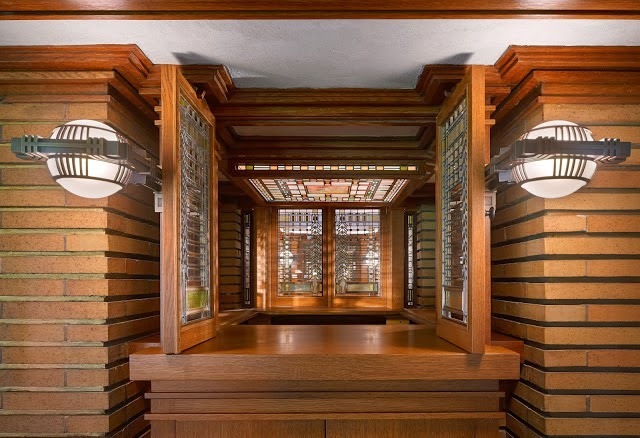 Darwin D. Martin's office (whether at home or in the Larkin building) was filled with the clack-clacking sound of a manual typewriter, pounding out hundreds of letters to Frank Lloyd Wright. 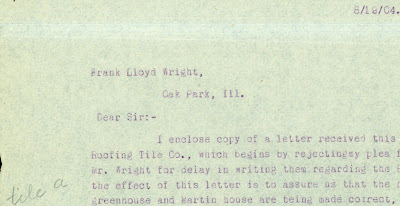 Wright's return correspondence was a mixed bag of handwritten and typewritten text, but the fastidious DDM almost always typed his letters, and regularly kept carbon copies of his outgoing correspondence as well. 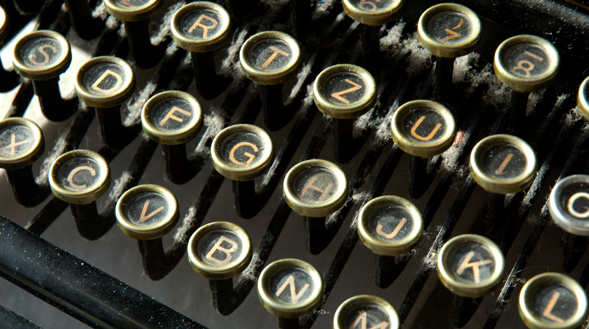 This week marks the final clack of the manual typewriter era with the last remaining producer of such machines ending production. The earliest mention of Martin's typewriter use is in his journal, where he notes: "JDL (John D. Larkin) & Co have a typewriter and I tried out the new fangled thing in the evening." (entry of April 6, 1882). Martin most likely acquired his own typewriter for the Bursar's office of the Martin House, c. 1905 (if not earlier), and the MHRC is in search of a period machine to grace the reconstructed desk in that space. The remaining stock of manual typewriters produced by the Indian company Godrej & Boyce (about 200) are for sale - and going fast, no doubt. Wouldn't you love one to complement that old dot matrix printer?